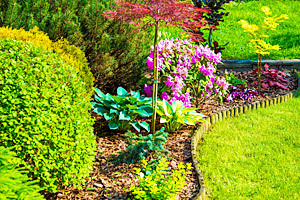 There are ways to save both time and money when landscaping your property. Being aware of the right seasons to garden and plant, as well as when to begin maintenance and plan and implement landscape designs can help you make smart decisions that are efficient as well as cost-effective. Make sure you begin landscaping for spring during the fall, so you don’t have as big of a task at the beginning of the year. Take complete advantage of the cooling temperatures and fall rains, and get ready with your gardening tools. Start with the ‘pre-spring clean-up’ routine by carefully pruning and removing dead plants and get rid of the fallen leaves and twigs from your yard. Set up a budget before beginning. Treat the hardscapes as a permanent fixture. Determine what exactly you would like to have in your garden. Ensure that your hardscapes have a solid foundation to help them remain intact for many years. Decide on placement carefully, considering functionality and aesthetics. The early spring is not the right time to make any decisions regarding the design of your property and whether things should be updated or removed. Be patient and give it a few more months to have a better picture of what your landscape will look like in the warmer summer months. Let the spring unfold completely to assess the condition of the vegetation. It will help you best visualize what changes you actually need. Once summer begins, it is time to assess the performance and condition of your plants. Now is also the time to start working on the landscape design plans for your home such as digging out the unwanted weeds. Planning your work can help you avoid unnecessary tasks or ineffective landscaping solutions. During the hotter months, you might experience high plant loss and often find new plants succumbing to the heat. This is why autumn can sometimes be the best time to add to or adjust your vegetation. With cooler temperature and shorter days, you are more likely to succeed with your landscaping project. 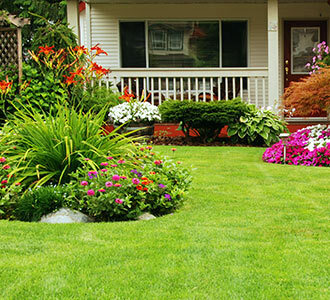 With several aspects to consider, landscaping is not as simple as you might think. Get help with your project and accomplish your vision with the help of the team at Greenbloom. We also provide commercial landscape design services. For more information about our services and packages, you can get in touch with our specialists by calling 647-500-5263.